• Dining spaces - DOWNLOAD MORE INFO. Widely admired for beautiful facilities, great catering, expert technical support, and excellent customer service, our facilities have hosted a wide variety of companies, such as HBO, NAACP, The Walt Disney Company, Hulu, Boston University, National Basketball Association, Amazon, Discovery, McKinsey & Co., UN Foundation, U.S. Olympic Committee, and the Museum of Modern Art. 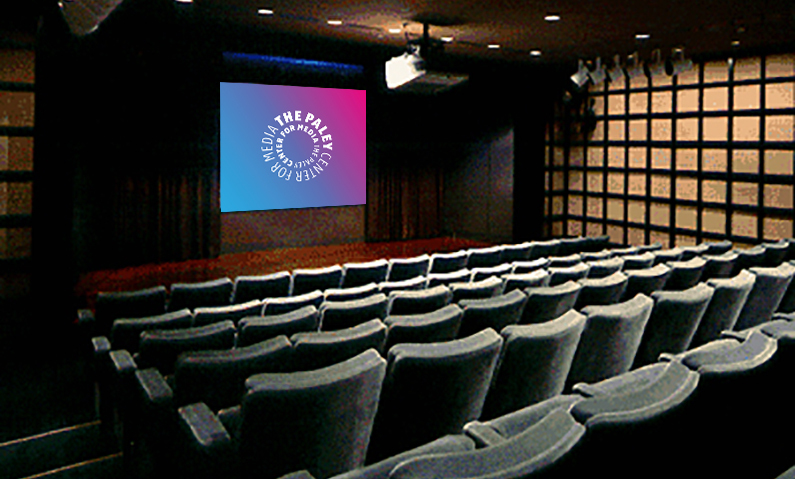 Recent television shoots at the Paley Center include Madam Secretary, NCIS: Los Angeles, and Elementary. 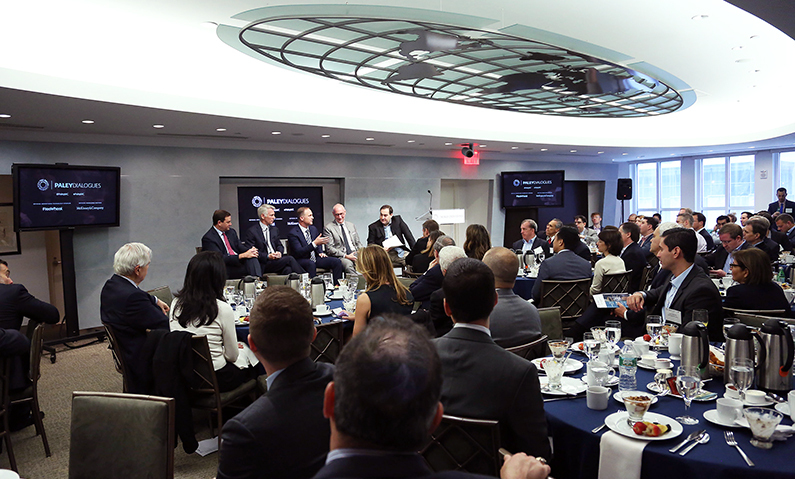 Become a Corporate Member to receive significant discounts on rentals; Corporate Membership at the $10,000 level and up are exempt from the $5,000 per event facility fee. 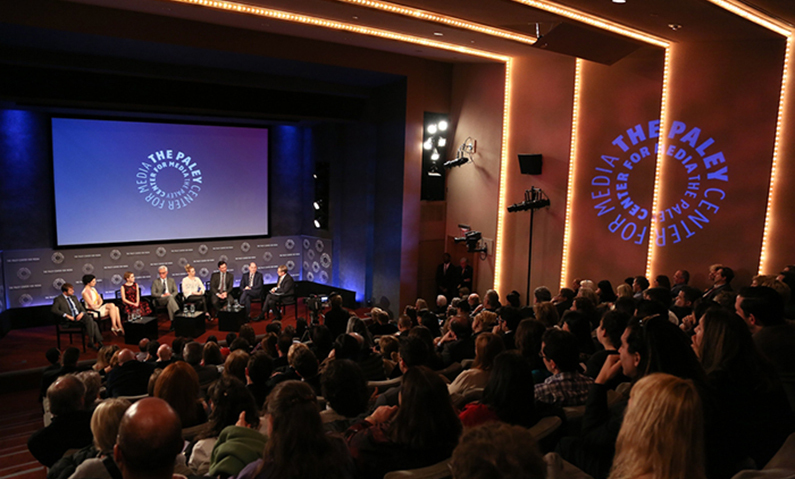 For more information on Corporate Membership contact Kathryn Thompson at kthompson@paleycenter.org or 212.621.6651. 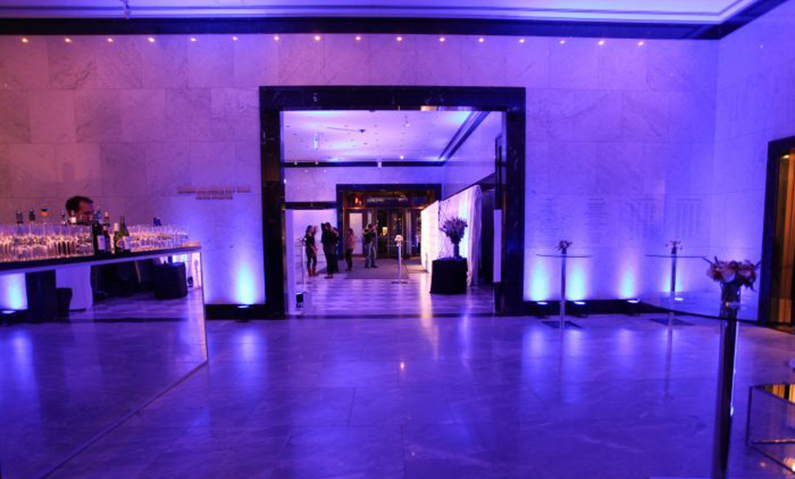 LOBBY: A beautiful setting for receptions, buffet luncheons, and dinners. Includes WiFi and screens; speakers and special lighting can be installed. GALLERY: The perfect location for a cocktail party or seated event. Two 50” monitors are available; PA system and special lighting can be installed. HD projection, DOLBY surround sound, wireless mics, separate PA & program sound systems, 4 robotic cameras, lighting control systems, Vyvx transmission, WIFI, FIOS & Time Warner Cable. 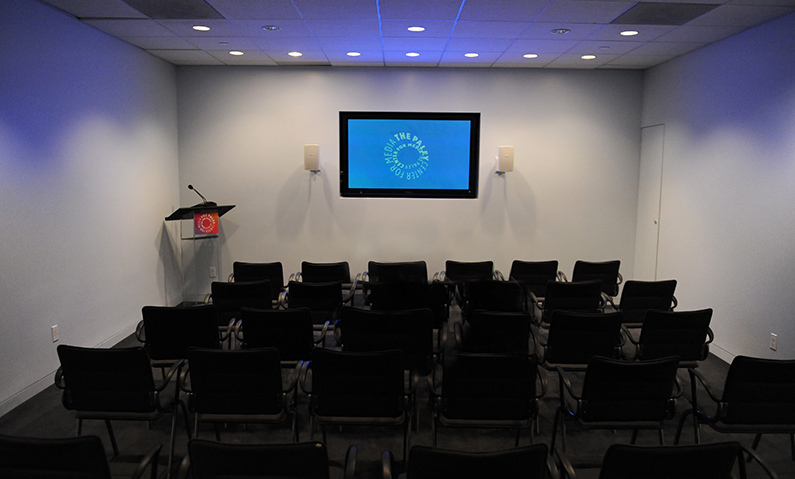 Ideal for intimate screenings, press conferences, and seminars. 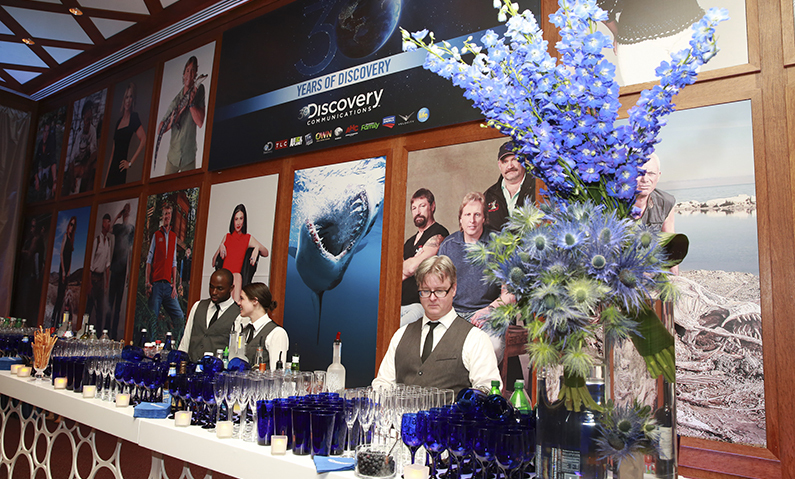 HD projection, lavaliere & handheld mics, PA and program sound systems. 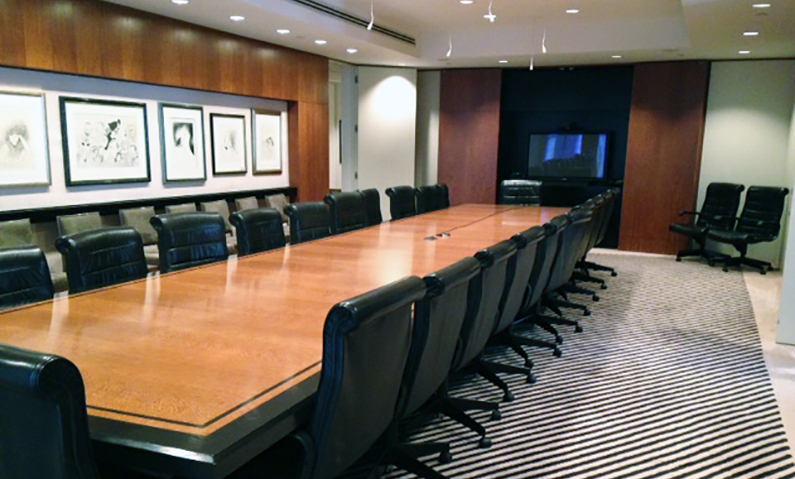 Offers state-of-the-art technology in a setting ideal for board meetings and conferences with 65" plasma screen, 2 HD projectors, 3 built-in cameras, lighting controls, audio & videoconference. 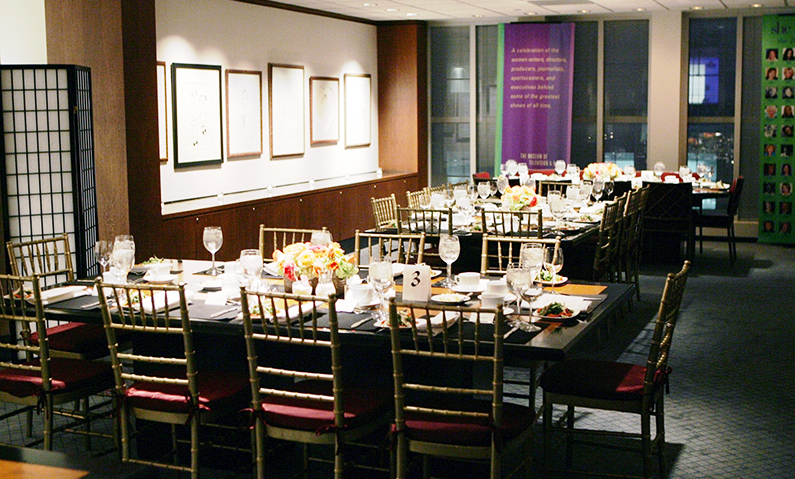 A great location for board meetings, small events, or as an off-site meeting location. 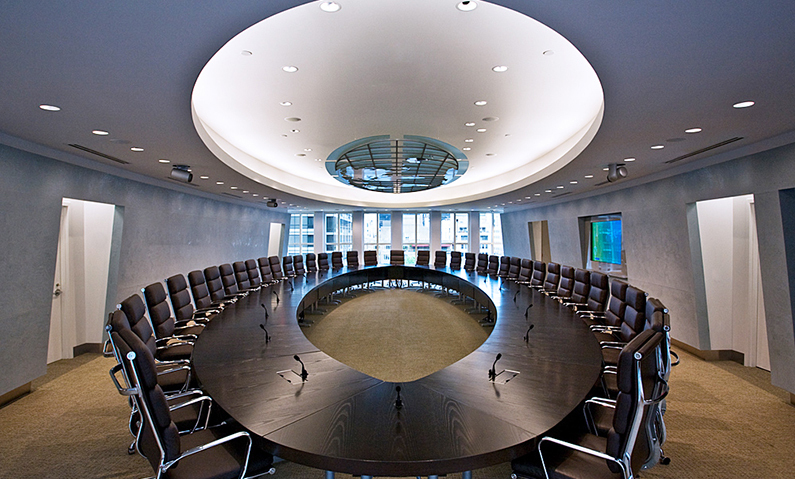 Built-in microphones for video & teleconference, HD plasma screen, WiFi, lighting control, separate control room. A beautiful and unique space for receptions and dinners. 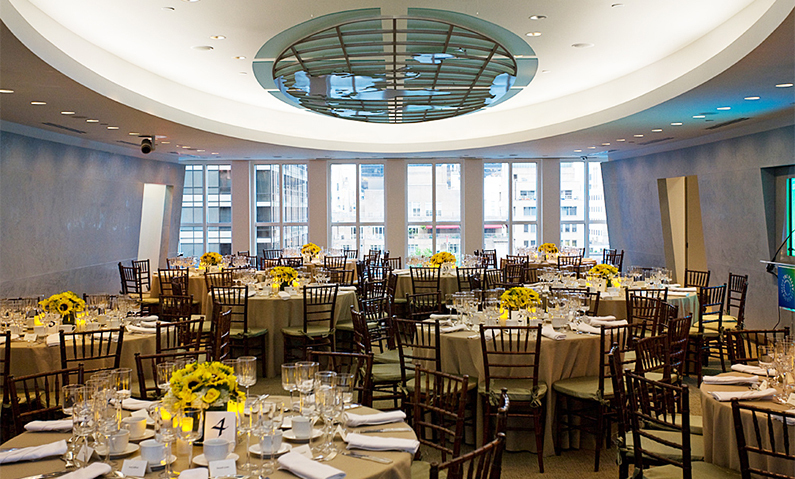 A beautiful setting for receptions, product launches, buffet breakfasts, or luncheons. Includes WiFi, built-in lighting controls, and 2 video monitors. Perfect location for a cocktail party, seated event, or fashion show. Four screens can display slates, logos, videos, and slide shows (1 faces Santa Monica Blvd. for outdoor promotion). With a sweeping 180 degree view of Beverly Hills, the garden features lush landscaping and water features—an ideal setting for receptions, seated events, wrap parties, weddings, and special celebrations. Equipped with speakers and ambient lighting. 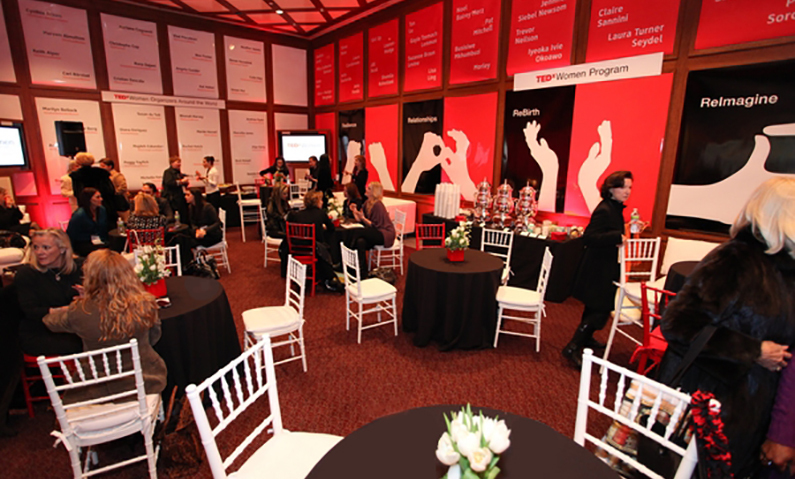 Ideal for screenings, press conferences, seminars, and award shows. Features HD projection, wireless microphones, 2 robotic cameras for recording, full lighting control system, and WiFi. 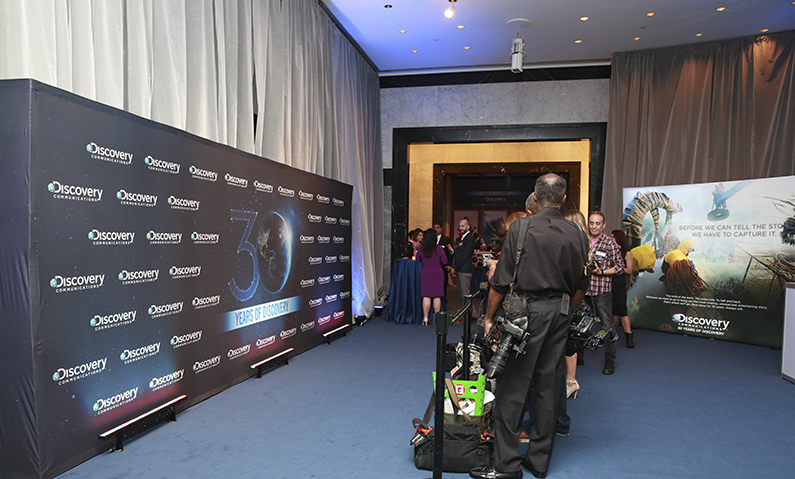 For more intimate screenings, press conferences, and seminars. Features an HD video monitor, perfect for PowerPoint presentations and screenings. A great location for board meetings, small events, staff retreats, or off-site meetings. Equipped for presentations and videoconferences. 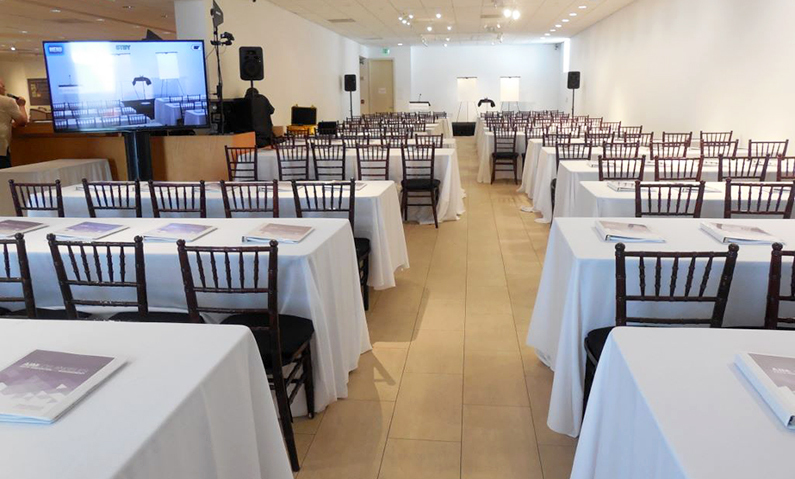 A large space for meetings, conferences, receptions, and seated events. Features an adjoining area with special exhibits. Can be configured for a variety of layouts with options for sound, PA system, wireless and handheld microphones, and video monitors. In close proximity to the Mitchell Theater and Bell Gallery. 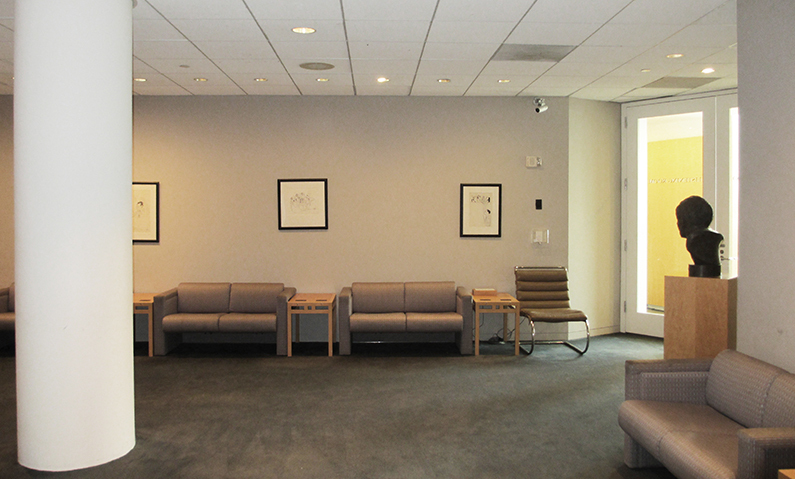 The ideal setting for a VIP area, break-out room, or a staff lounge.